Marijuana, along with other sensual drugs, causes physical and psychological damage in it susers and, surprisingly, is addictive. Hardin Jones, a medical physiologist who has counseled thousands of drug-using students and returning Vietnam veterans, and Helen Jones, a nutritionist, present for the first time outside of scientific journals these dramatic conclusions from experimental studies. The book also contains a fascinating and highly readable account of brain function. For users of drugs the authors describe their own experience with rehabilitative programs which can offer a positive direction for the individual and will allow him to return to full enjoyment of life. These approaches to helping drug users will be of interest to doctors, teachers, psychotherapists, coaches, ministers, nurses, counselors, students and parents. Opponents of marijuana use will find support here for their views. Proponents of an intelligent pro-marijuana position will have to deal with the convincing physiological evidence the Joneses describe. 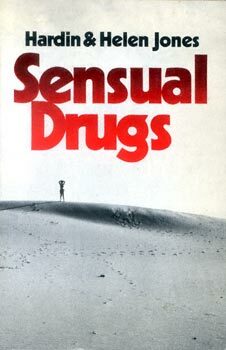 The reader will be impressed by the authors' vast knowledge of this field and by their deeply felt sympathy for the users of sensual drugs.